Mindfulness can be defined as paying attention in a particular way: on purpose, in the present moment, and nonjudgmentally. Research indicates that mindfulness techniques in school aged children can help to improve: sense of wellbeing, ability to focus, relaxation and self regulation. 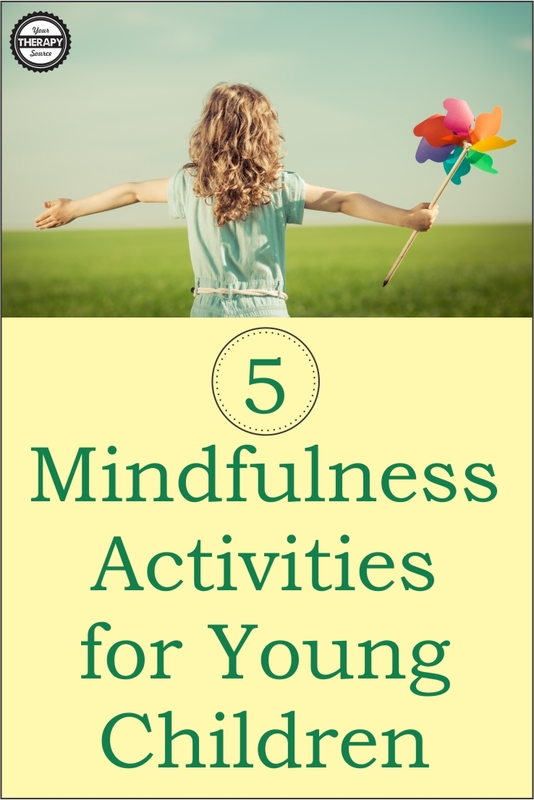 Although mindfulness practices have not been studied in younger children (i.e. preschoolers) extensively, young children do experience a fast paced, hurried, high pressure, high technology lifestyle and mindfulness techniques may help young children’s well being in school and at home. guided meditation and visualization – try this Triathlon imagination action journey that combines visualization with movement. specific games designed to support children’s deeper awareness of their own feelings and thoughts. specific games designed to support children’s deeper awareness of their own behaviors and reactions. Read about 10 games that help to develop self regulation skills. 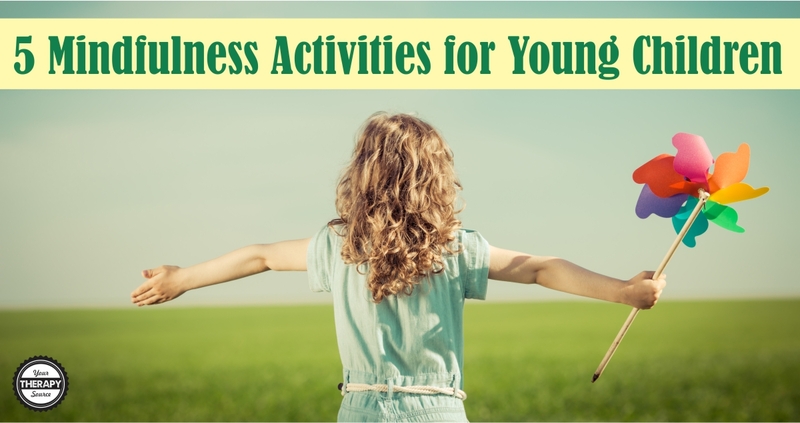 Read more on Mindfulness and Yoga for School Children. Read more on Sensory Processing Styles and Mindfulness. Read more on Self Regulation and Yoga in Preschoolers. Read more about self regulation skills or check out the Self Regulation Skills Curriculum – Work, Move, Breathe. Reference: Erwin, E. J., Robinson, K. A., McGrath, G. S., & Harney, C. J. (2017). “It’s Like Breathing In Blue Skies and Breathing Out Stormy Clouds” Mindfulness Practices in Early Childhood. Young Exceptional Children, 20(2), 69-85. 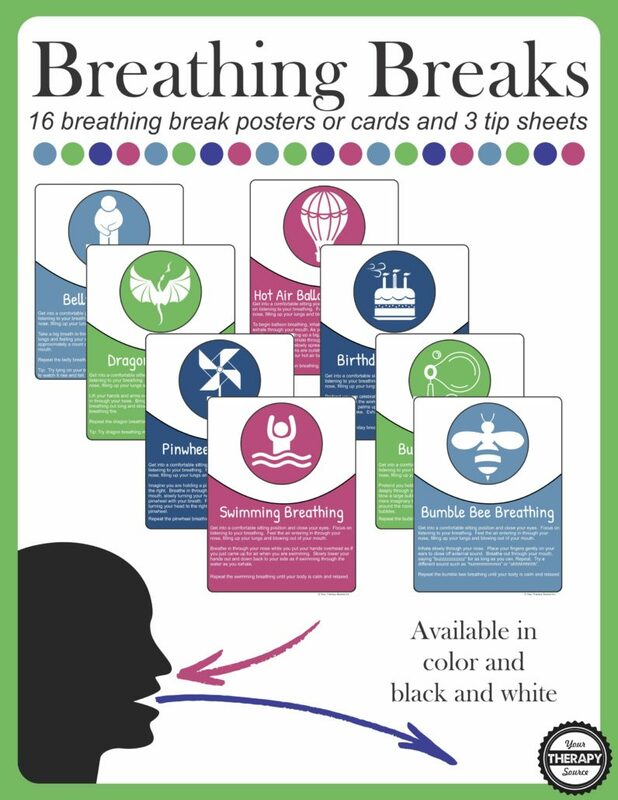 Breathing Breaks: This digital download is a collection of 16 deep breathing exercises and 3 tip sheets. Deep breathing exercises can help to decrease stress, reduce anxiety, remain calm, strengthen sustained attention, sharpen the ability to learn and more! This packet includes 16 full page breathing exercises and 3 tips sheets in color or black and white. In addition, the breathing exercises are provided 4 to a page to make smaller cards or booklets. FIND OUT MORE INFORMATION.